One handed quick release. Reversible jaws for spreading or clamping, cushioned grips. 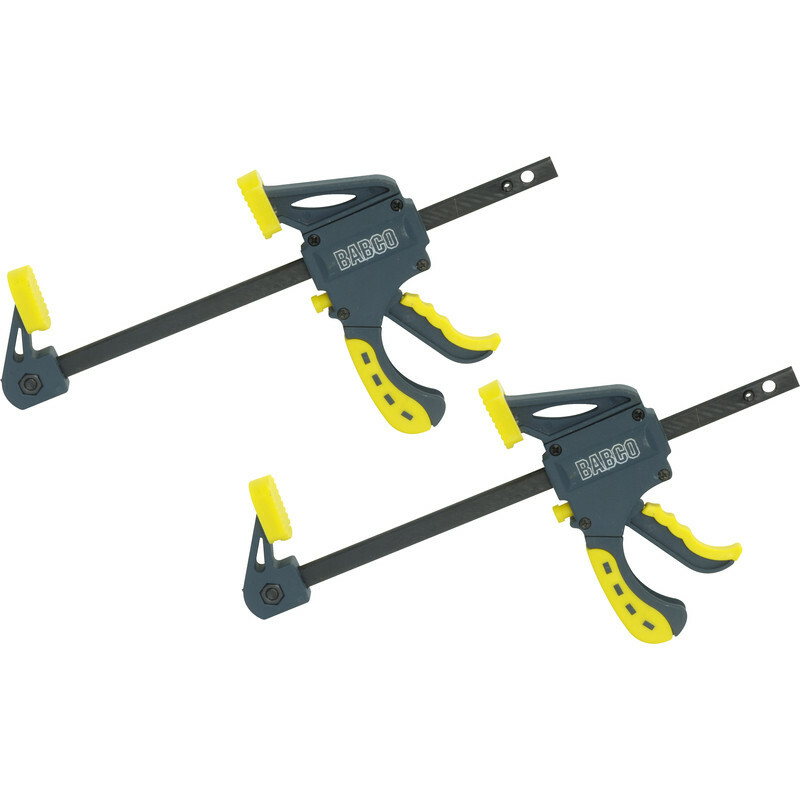 Babco Ratcheting Bar Clamps 150mm (2 Pack) is rated 4.0 out of 5 by 26. Rated 5 out of 5 by Johan from Perfect Just what I needed to assemble some flat pack furniture. Good price and worked perfectly. The packaging was a bit OTT. Rated 5 out of 5 by stevieblueblood from Did the job okay! Bought these recently and found that they did the job alright, they were reasonably priced and toolstation had them in stock so I was happy with them. Rated 5 out of 5 by Steve hawkeye from Great value for money Perfect for holding fencing in position while fitting . Rated 4 out of 5 by Kikidee from Good little clamp Handy miniature clamp for diy , ratchet trigger is weakest point as they break after constant use, ok for occasional diy but not for anything more than that, still at the price they can be replaced easily and cheaply.